This book brings together the complex academic knowledge that exists in inclusive design and presents it in an accessible format suitable for trade and industry. Co-written with Onny Eikhaug of the Norwegian Design Council, it is a ‘first of its kind’ publication aimed at taking the inclusive design research process into the industrial arena and effecting real knowledge exchange. The research combined academic thinking with market case studies and business evidence for the innovation value of inclusive design. It outlines eight inclusive design activities that could be added to any business/innovation process and nine basic tools for conducting people-centred research. 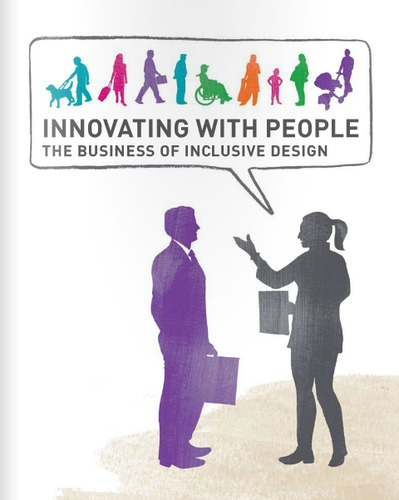 The book addresses both the need to take inclusive design research into the business arena and the Norwegian Government’s ambitious targets for inclusive design by 2025. It builds on practical inclusive design research with Norwegian companies and a series of knowledge-transfer events, most notably two conferences in 2008 and 2010 entitled the ‘European Business Conference on Inclusive Design’. The publication has provided a platform for Gheerawo to undertake further research on the business value and application of inclusive design, including knowledge-exchange workshops, executive education and projects with BlackBerry, Samsung, NorDan, Kinnarps, Stannah and the London Creative and Digital Fusion. He also ran an executive education workshop in Oslo with Eikhaug on inclusive design in 2012, based on the methods and frameworks in the book, with 130 delegates from 14 countries; he organised and spoke at the ‘Ageing and Design – Global Business Perspectives’ conference in Hong Kong in 2012, resulting in a partnership with the Institute of Design Knowledge, Hong Kong Design Centre; gave presentations globally in cities including Moscow, Hamamatsu, Salamanca, Hong Kong and Prague; and was appointed guest editor on the subject for two journals: Design Philosophy Papers in 2011 and The Design Journal in 2013.